If you want to eat well, you need to learn to cook well - but it needn't be as hard or as complicated as you think. 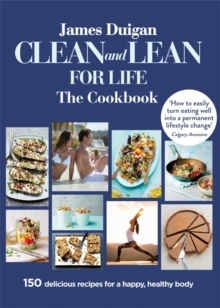 In Clean and Lean for Life: The Cookbook, James Duigan helps you every step of the way with mouthwatering recipes and cookery tips that will have you whizzing up nutritious meals in minutes, whatever your budget or lifestyle. For years, James has advocated cutting out sugar, avoiding alcohol and eating 'good' fats - advice that has now become mainstream. 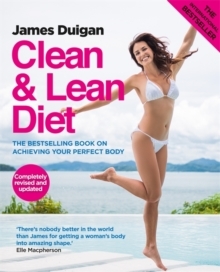 With tips on avoiding the cravings that can lead you off track, and on whether to use microwaves, whether it's worth getting a spiralizer or Nutribullet, plus inspiring ideas on how to maintain your new healthy lifestyle, James demonstrates that you, too, can be Clean and Lean for life.